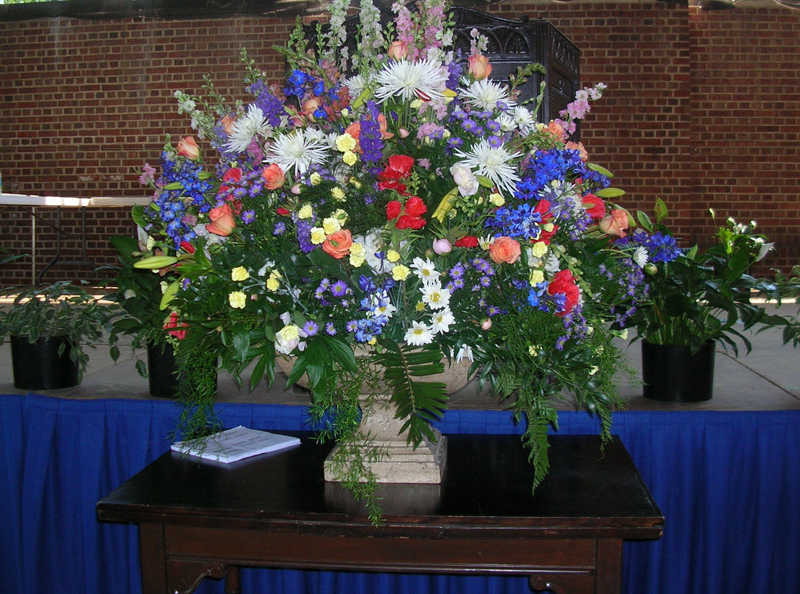 Floral Arrangements are available for any occasion. We offer a wide variety of floral and greenery selections, all grown in our local greenhouses for optimal interior conditions. Arrangement sizes range from small reception desk accents to extra-large, stunning displays in gorgeous planters. 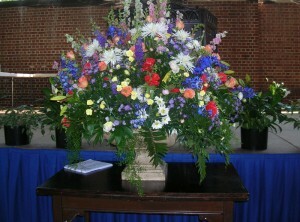 Reception Desk/Entrance Focal Point: Welcome your guests and employees with a weekly or seasonal cut floral arrangement. Also available are our live flowering plants such as orchids and bromeliads or our gorgeous ‘lifelike’ faux materials. All florals are designed to complement your décor and style, with quality materials, and excellent pricing. Special Events, Parties, and Weddings: From corporate events to themed parties and weddings, we can outfit your event with the perfect floral ambiance! Let us know what you’re envisioning, or let our designers make recommendations and suggestions. You will be pleased with our design service and results. We interpret your ideas and deliver creative solutions. We can work with any sized event and within any budget. Contact us today for a no-obligation consultation – let us show you what we can do for you!